EMDR is an acronym for ‘Eye Movement Desensitisation and Reprocessing’. EMDR is a powerful psychological treatment method that was developed by an American clinical psychologist, Dr Francine Shapiro, in the 1980s. EMDR helps the individual look at memories of their trauma (including all negative thoughts, feelings and sensations experienced at the time of the event). EMDR aims to change how we feel about these memories and helps you to have more positive emotions, behaviour and thoughts. Eye Movement Desensitisation and Reprocessing integrates elements of many effective psychotherapies in structured protocols that are designed to maximize treatment effects. These include psychodynamic, cognitive behavioural, interpersonal, experiential, and body-centred therapies. EMDR is recommended in several treatment guidelines for PTSD around the world including the UK. All our CBT Cardiff psychological therapists have attended EMDR training from accredited EMDR trainers. 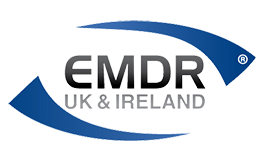 Several are EMDR UK & Ireland accredited practitioners. Nigel Mills is a Consultant in EMDR and offers supervision to EMDR therapists across South Wales.